There are some people who without even realising it are truly inspiring. One such person is this awesome rider from Canada, who lives life by simply following his soul, and in doing so creates awesome moments. What advice would you give to any young person who is interested in getting into the sport? How do you see future biking? Like industry standards etc.? If you were to design a bike that is most suited to your style of riding, what would it be like? A few years ago you had a low spell, what advice can you give for people who have experienced or are experiencing something like that? I’d tell people to never give up on themselves (or their loved ones) or lose hope. If you’re struggling with something, take every victory you can get, for as long as you can…and if you stumble, keep trying to get back on track as soon as possible…like now! “Play the tape forwards’ so you can see or predict the outcome of your decisions and make the correct move to do what will give you the best chance to succeed and live your life the way you want. If you do what you’ve always done, you’ll get what you’ve always got. Be honest with yourself and recognize patterns. If you feel tempted by anything bad, go ride your bike. If you’re not tempted by anything bad, go ride your bike! To look ahead! My grandfather also told me to “Live your life, like you want to remember it”! My favourite racer has always been Peaty. 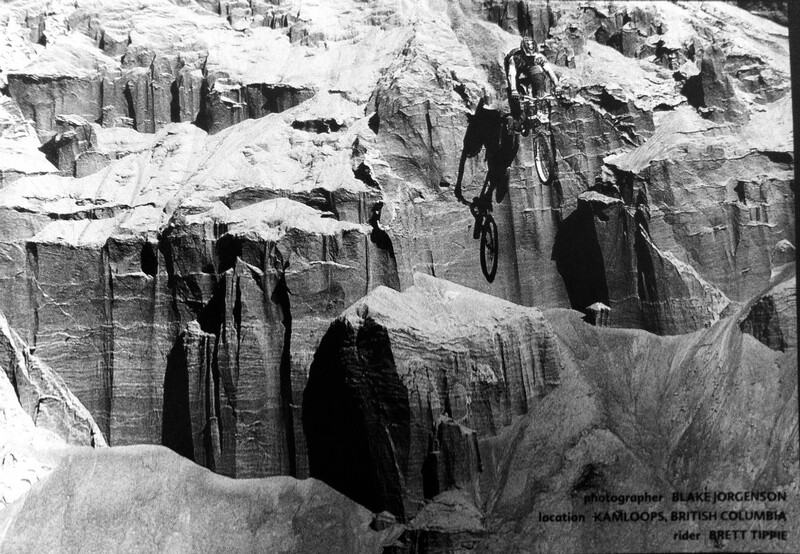 My favourite old school freeriders are my Freerider brothers Wade Simmons and Richie Schley. These days I really like to watch Aggy, Zink, Andreu, Claw, Sorge and Doerfling rip it up. 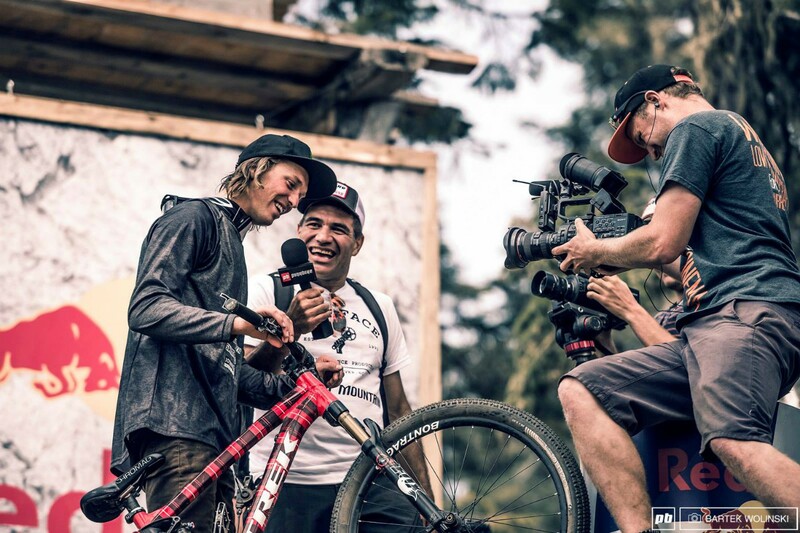 At the last Rampage I gotta say I was totally impressed by Vinny T ride steeps and Ethan Nell send it. If you could go back 20 years would you change anything? What advice would you give to people who are trying to grow in the sport? Like to the point where they are trying to gain sponsorship? I would recommend riding a lot…with wicked riders. Push yourself, but know when to back off. Enjoy what you do. Be friendly and helpful to your sponsors, other riders and the general public. Try to either get race results or get exposure in traditional print, tv, movies, social media, live events or anyway that would provide a potential sponsor value in sponsoring you…or both. You don’t get unless you ask usually too. People usually start with a local shop sponsorship, with good deals, then a regional sponsorship, and then a national level deal with a deal, then free gear, then free gear with an incentive, then a professional deal where you are paid in exchange for your services to help sell and develop product. If you can provide consistent exposure, feedback, r&d, results or value to a sponsor they will consider putting you into their sponsorship budget the following year. It’s all about timing. Work hard and give first, then hopefully you’ll reap the rewards later. When you do get exposure or results make sure to collect it and be able to provide proof of your efforts in a professional package. Leave others with a good impression and share the bike passion. People don’t always remember what you said or did, but they usually remember how you made them feel. Oh yeah, and ride a lot. What is the most important lesson you’ve learnt? In general, no one can really make you happy or unhappy but you! If you think you can do a thing, or you can’t…. you’re right!! Family first, have your friends back, be on time, recognize patterns, carry a tube and pump, if you miss a ride you can hopefully go night ride later, and have fun while you can! Life is short, shred now everybody! !